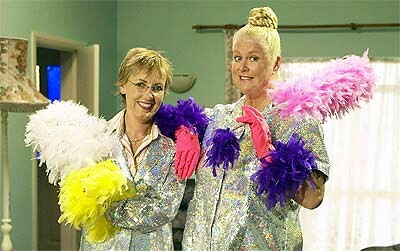 I was a fan of the old BBC “How Clean is Your House”, and they had these outrageous fancy gloves. I have wanted do a pair for about 4 years now. Here is where this all came together. 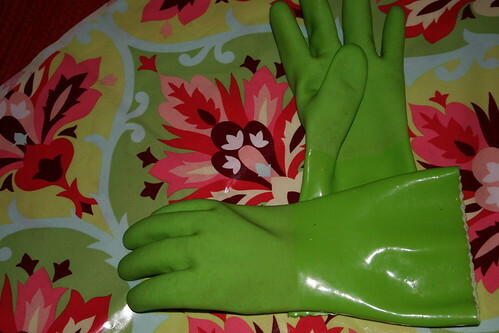 These gloves protect my hands from the “hot hot hot” water. 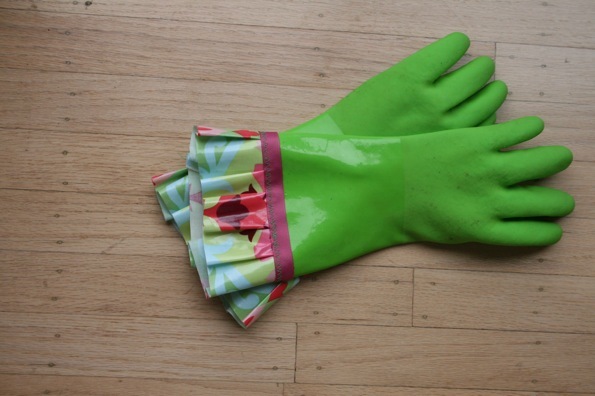 I had the oil cloth at home, and the gloves. 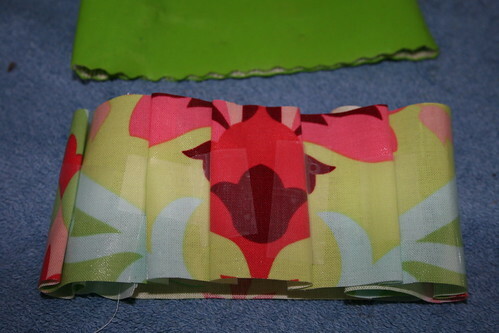 I love the pattern on this fabric, so I made the pleats carefully to feature the neat flowers. I made the cuffs and pleated them using scotch tape. Then I sewed them on with a gross grain ribbon with a zig zag stitch. 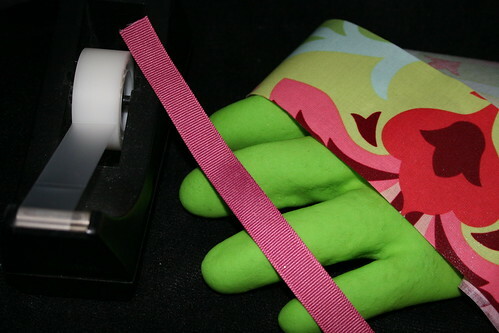 I did not have “fun” sewing heavy rubber (and oil cloth, which both grip and stretch) on my home sewing machine. They are not perfect. (!!!) (I only broke one needle, and I did not have to go to the Doctor to look at the grievous bodily injury I inflicted on myself.) 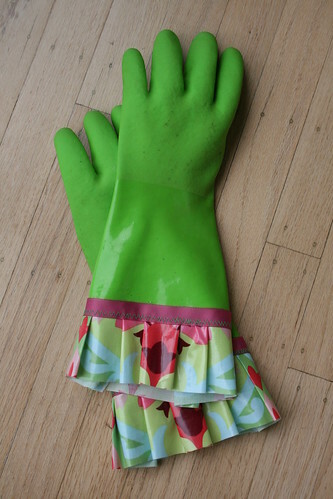 But now that it is done, I am glad to have the fancy fun gloves! 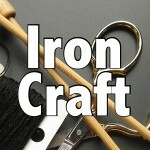 8 years ago by Susi in Challenges , Craft Projects , Iron Craft , Projects , Sewing Projects | You can follow any responses to this entry through the RSS feed. You can leave a response, or trackback from your own site. These are awesome looking. I understand about the machine though. I made a dress years ago that had about 6 layers of panne velvet. I ended up doing it by hand (and had the sad fingers to prove it), because I could get better force than my machine. I wonder if a teflon foot for your sewing machine would help? I got one to use when sewing vinyl because the fabric won’t stick to it. What a fun project though.